While out shopping this weekend I came across Thomas Keller's famed French Laundry cookbook and Ad Hoc At Home. While flipping through the books--to make sure they had adequate photos, which I need--I saw the doughnuts. With the French Laundry name attached, I assumed these little golden blobs of fried dough had to be good, so I grabbed the books. Once home, I handed the recipe over to my dough machine (aka Mr. Humble) who got to work on the dough. Unfortunately for Mr. Humble, who had to work the next morning, the dough requires an overnight retardation in the refrigerator and it fell upon me to finish and eat the doughnuts the following morning. Pictures truly don't do the texture of these donuts justice. 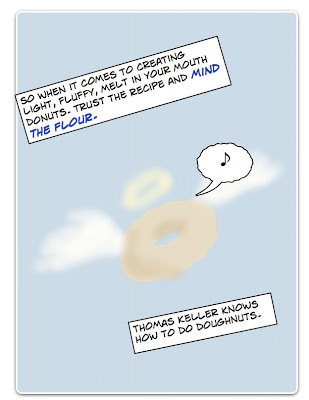 Thomas Keller's doughnuts are absolutely wonderful. Probably the best homemade doughnuts I've ever had. They were gone in seconds. The busy and work bound Mr. Humble was very perturbed. While this recipe calls for the use of a stand mixer, we did not use one. Mr. Humble and I rarely use our stand mixers to make yeast doughs, feeling it is best done by hand. So if you lack a mixer, don't let that stop you from making these doughnuts. 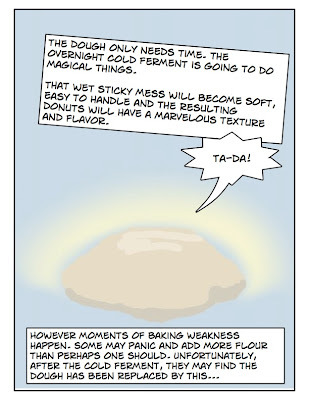 I'll provide a video guide below for how best to approach a wet sticky dough such as this one. In the bowl of your mixer, add the water and crumbled yeast. With a spoon, mix and mush the yeast into the water to dissolve. Add the flour to the bowl and using the dough hook, mix slowly until the sponge is thoroughly blended. Transfer the sponge to a bowl and cover. Allow to proof at room temperature for 1 to 2 hours. Once it has doubled you can begin the dough. To make the dough, add the crumbled yeast and milk to a small bowl, stirring to dissolve. Add 3/4 cup of the flour, the sugar, and salt to the bowl of your mixer. With the dough hook, mix on low speed, adding the milk and yeast mixture, followed by the egg yolks and butter. Mix for a minute to combine. Add the proofed sponge and the remaining 1/4 cup plus 2 tablespoons flour. Continue to beat at low speed until combined. Turn up the speed slightly and knead the dough for 4 to 5 minutes, or until it has formed a ball and cleans the sides of the bowl. If the dough seems wet, it may be necessary to add 1 to 2 more tablespoons flour. Cover the bowl and let the dough proof overnight in the refrigerator. As I mentioned above, Mr. Humble and I made this without the aid of a mixer. We hand mixed and folded the sticky dough to develop the gluten. The dough will still be sticker than bertinet's after folding, so don't fret. Different dough, different hydration. 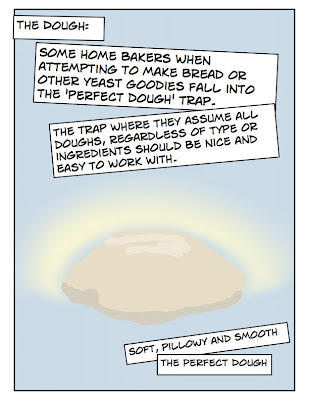 To shape the overnight-rested dough: Place the chilled dough on a lightly floured surface and roll it out 1/2" thick. Cut out the doughnuts using a 2-inch doughnut cutter (you may also use biscuit cutters, using a smaller cutter to remove the hole). Place the doughnuts and holes onto a baking sheet, lined with parchment paper and lightly dusted with flour. Drape the doughnuts with a sheet of plastic wrap that has been sprayed with nonstick spray. 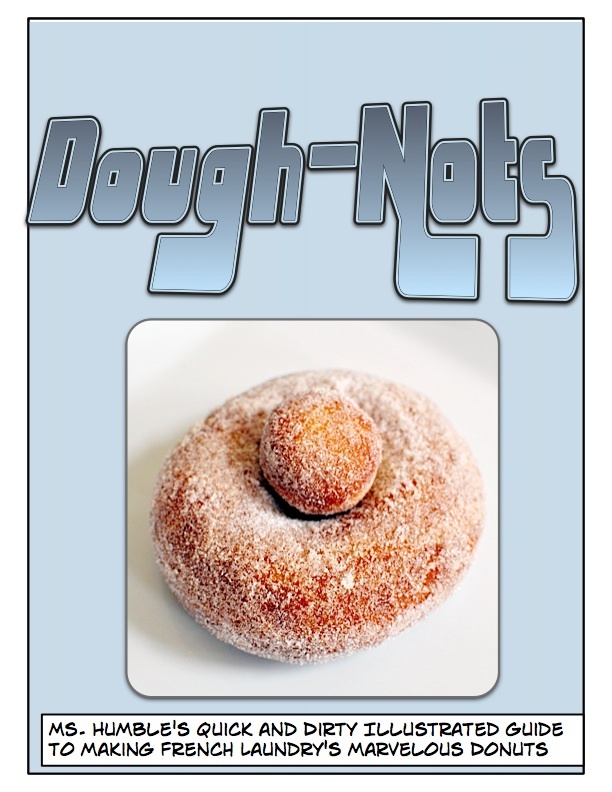 At this point, the doughnuts can be frozen for several days, refrigerated, or allowed to rise at room temperature. If they're frozen, defrost them and then allow them to rise at room temperature for 1 to 1 1/2 hours. They can be refrigerated for several hours or overnight, to rise slowly. When you remove them from the refrigerator, uncover them and let them finish proofing in a warm place for 20 to 30 minutes. If they have not been refrigerated or frozen, they should rise at room temperature in about 15 minutes. Once proofed, they will have risen to approximately 3/4 inch. To cook the doughnuts: In a deep heavy saucepan heat the canola oil for deep-frying to 325°F. Use a frying thermometer to check the temperature and be sure to bring the oil back to 325°F after frying each batch. Add the doughnuts and holes to the oil and cook for approximately 30 seconds on the first side. Flip the doughnuts and fry for 1 minute on the second side, then turn back to the first side to cook for an additional 30 seconds, or until a deep golden brown. Remove the doughnuts, drain them briefly on paper towels, and toss them in a bowl with the cinnamon sugar. Repeat with the remaining doughnuts. Oh My Goodness! That video is amazing. If I'd only known I can do that instead of the gym workouts! 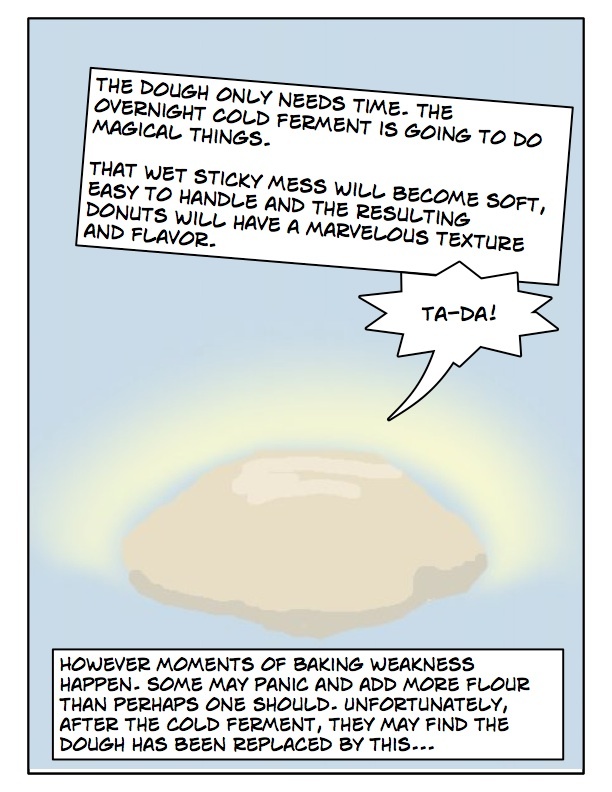 I am now inspired to do dough his way and to try that thing he did at the end that looked like a star! those doughnuts look incredible!!! I would love to try a few! 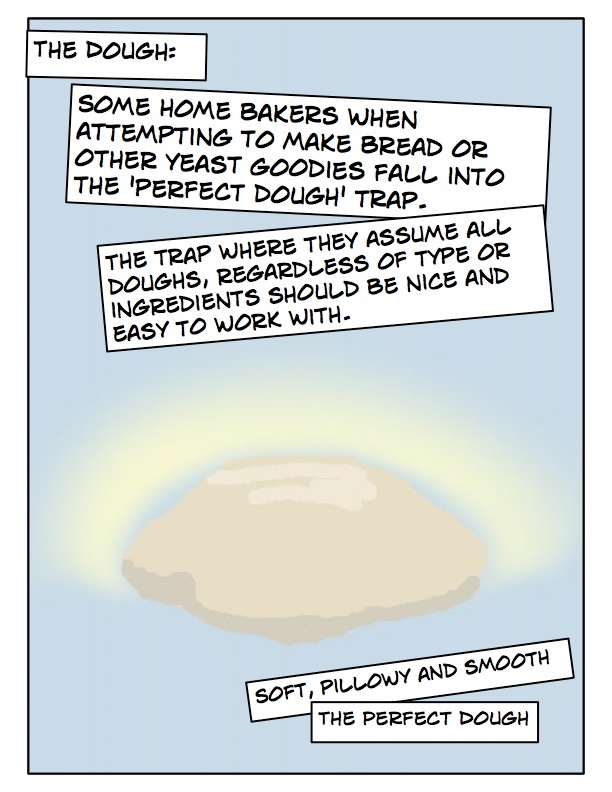 do you know why it calls for yeast in both the sponge and the dough making? I haven`t seen this in other recipes and caught my attention. Yum those look amazing... 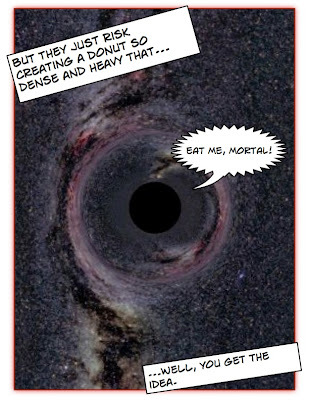 I imagine they disappear faster than matter approaching the event horizon! 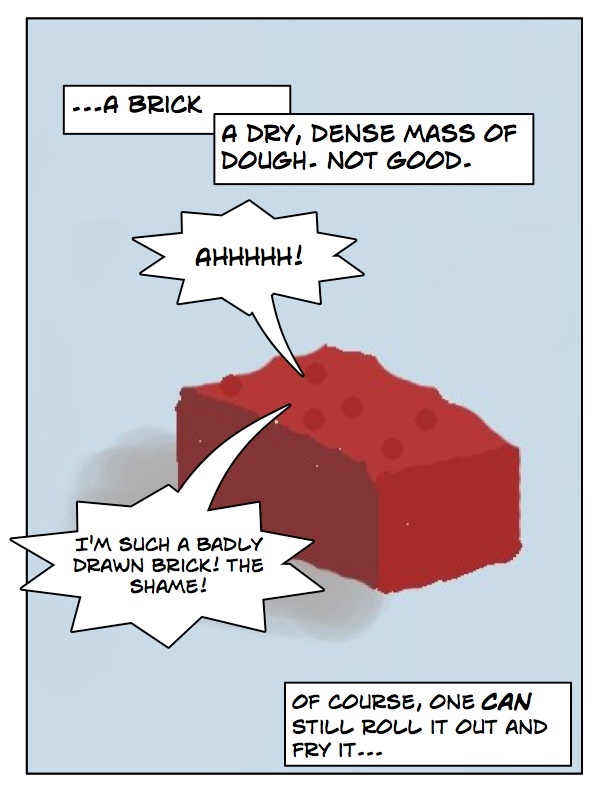 Awesome comic :) My manofthehouse also loves making dough and I can't wait to show him Richard Bertinet's video, thx for posting! Did I mention these look amazing? Making dough at 10:46pm doesn't seem so strange all of a sudden. I so heart that comic. Those doughnuts look so good. 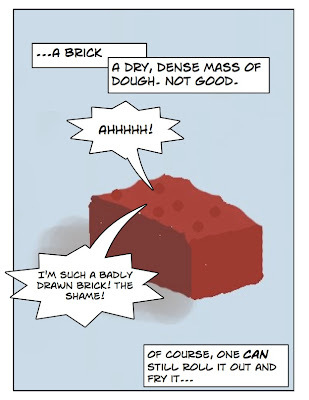 And I love the web comic. 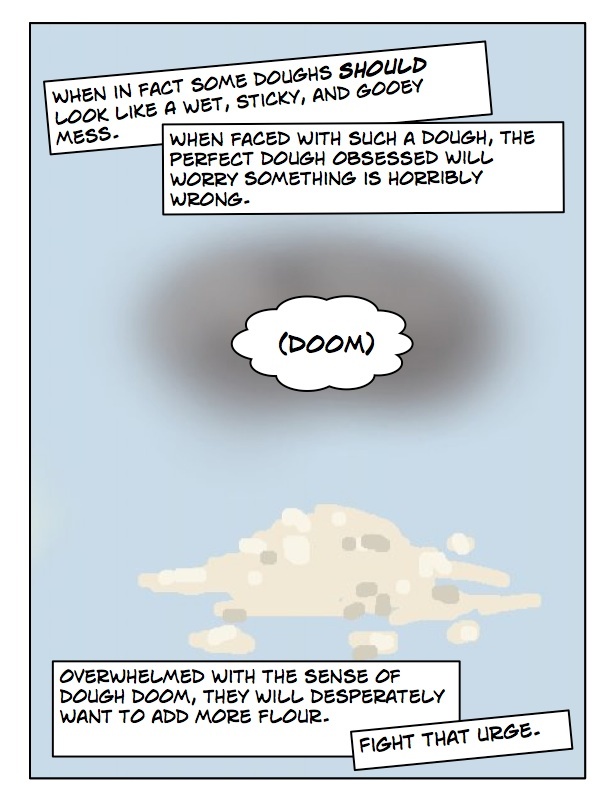 As much as I hate to admit it, I am perfect dough obsessed - your comic helped! The video was so helpful. Thank you! Your doughnuts look perfect. Home made donuts, one of my favorite childhood memories. One of the things that keeps me from attempting donuts, however, is the frying. (Can sunflower seed oil be used, instead, by the way? I think I'd like any hint of sunflower seeds that the oil might add, but, since I have no experience in frying, I'm wondering about the temps.) 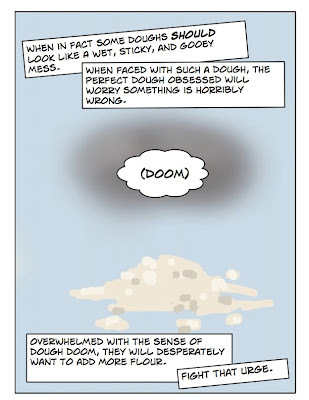 Is it not possible to bake donuts, or--like bagels--boil them in water? I've long wanted to ask this question, so I'm really looking forward to your response, thanks! Wow. This one was beautiful and informative. Thanks. i really enjoy ALL your posts…whether i am @ ease in re-creating or or attempting to…the time, effort & creativity that goes into each post is just amazing & truly appreciated. this post is a jewel…& although i have never baked donuts…who could resist trying?! i loved this post, with the video and the comic!! so entertaining and so informative :) i really enjoyed the kneading method and was excited to try it, but when i made this recipe this weekend, my dough was a little more brick-like than expected :) seduced by the ease of working with a drier dough, i didn't correct it, and the result was a tad dense... baker error!! but the doughnuts came out nicely anyway! i went with a coffee glaze from the gourmet today cookbook... great for a sunday morning! Those look so yummy, love the comic. Your doughnuts look fantastic. Would you happen to know the flour measurements by weight? Does he give it in the recipe? I usually weigh my flour since cups are not very precise. Does Keller specify if his cup is 5oz or 4.5oz? "1 cup plus 2 tablespoons all-purpose flour, or more as needed"
Isn't that a terrifying prospect? Given you know that too much flour will result in heavy donuts and too little will mean the dough will lack structure when you finally roll it out the next morning. I'm a big advocate of weights over volume so the measurements irked me, but I chose to post the recipe as given in the White Laundry cookbook. It worked well, so I assume it has some wiggle room given the lack of precise measurements. Dude, Im blown by the way you write. I am in love with your blog and of course your recipes. Seriously, I am a writer myself...and I think you are brilliant. I am on to your site for like what 3 hours now!!! Believe this? And I love anyone who uses the word "Dude" as much as I do. Science Cookie Cutter Set Giveaway! Birthday Giveaway Winner & Steak!